We have the perfect Quick and Easy Fall Meal for you today! 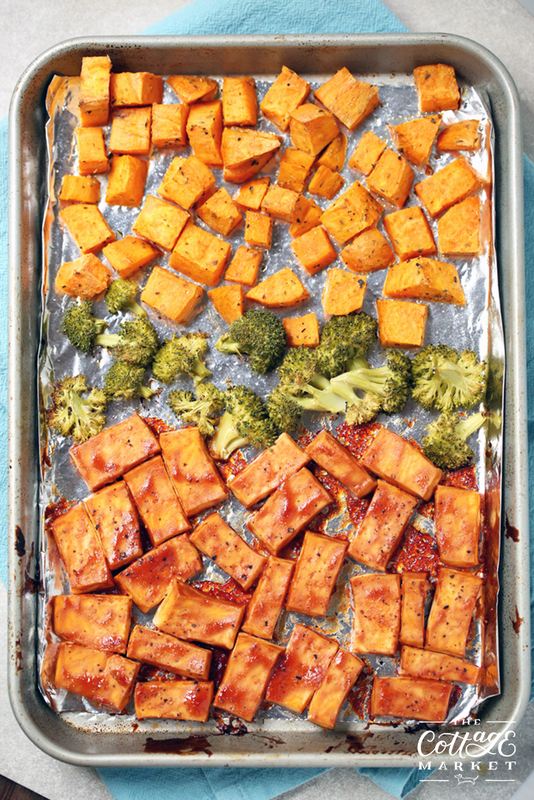 Everywhere you look you see Sheet Pan Meals and believe me…they could not be easier and when it comes to clean up they are a charm! Here’s a Vegetarian …actually it is Vegan also that the whole family will love. 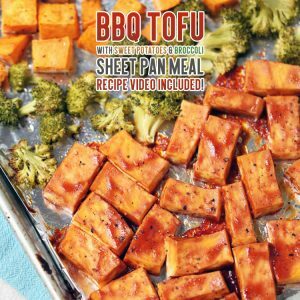 BBQ Tofu with Sweet Potatoes and Broccoli Sheet Pan Meal and a Video so you can whip this up in no time! 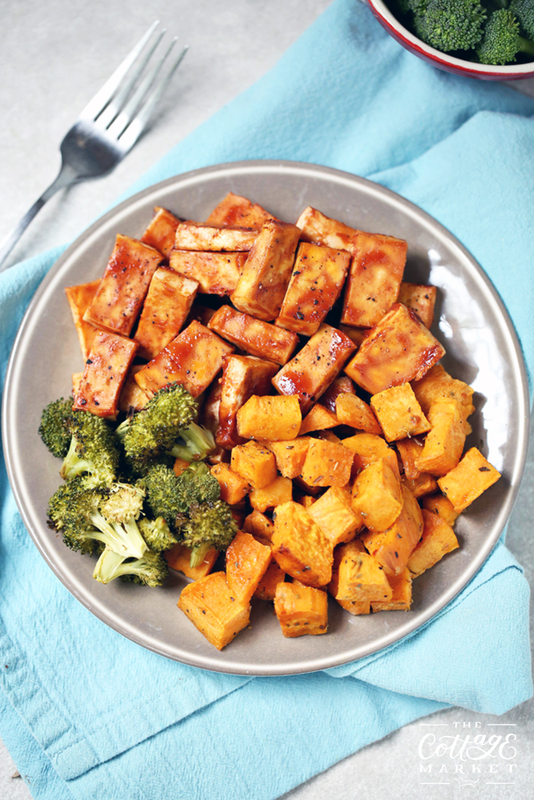 Tis the Season for Sweet Potatoes for sure…this is a great Fall Meal. Make some yummy rice to go with it or add a salad and you will be good to go. Just a note from a Veggie…Tofu is delicious when prepared with flavor…don’t fear it…embrace it. Bon Appetit! 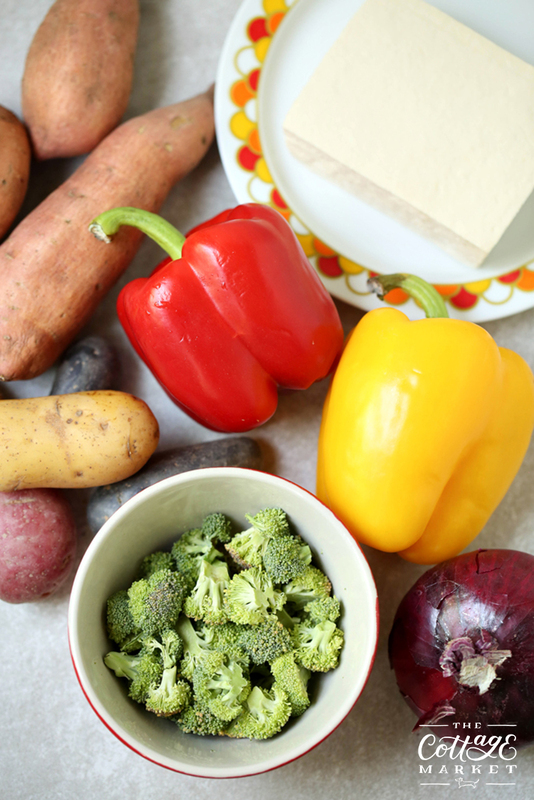 If you would like to add another veggie your family loves…go for it…put your own spin on it and enjoy. Looking for more delicious recipes…check out our Recipe Gallery! 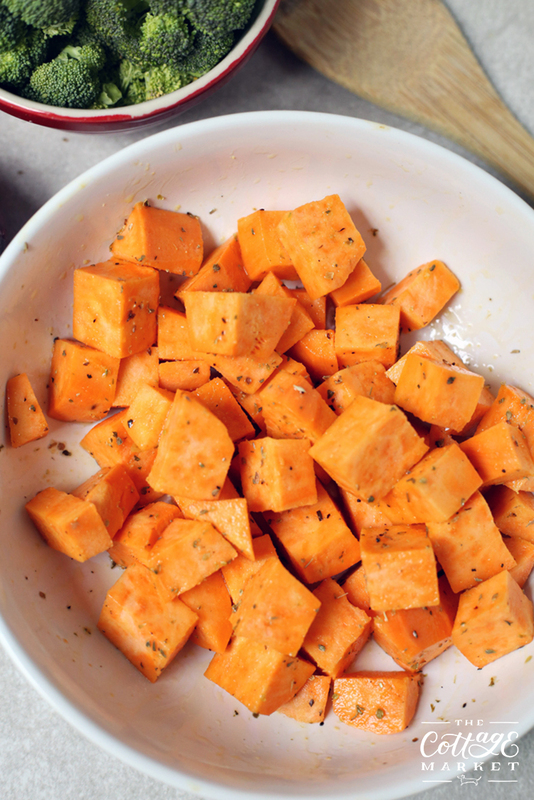 Dice sweet potatoes. In a bowl, combine them with half of your oil, garlic powder, and seasonings. Spread out on ⅓ of a baking sheet, and bake for 15 minutes at 350 degrees. 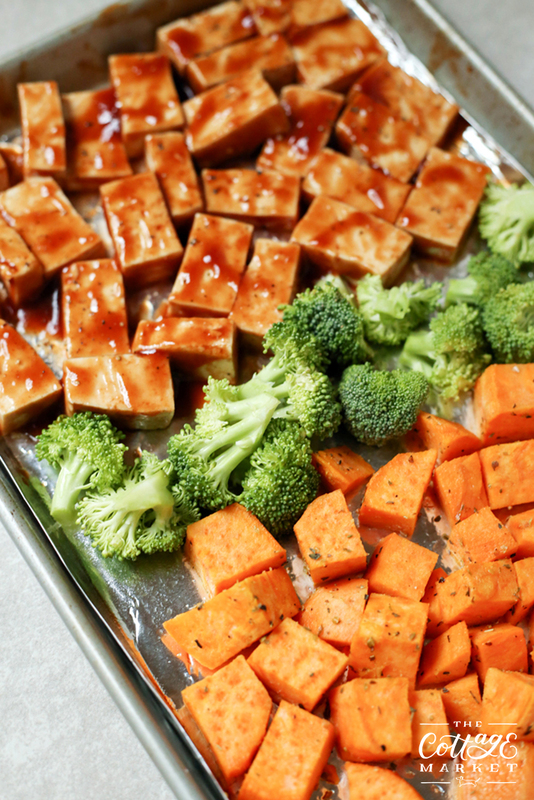 While baking, dice your tofu (make sure it is well drained) and mix with barbecue sauce. 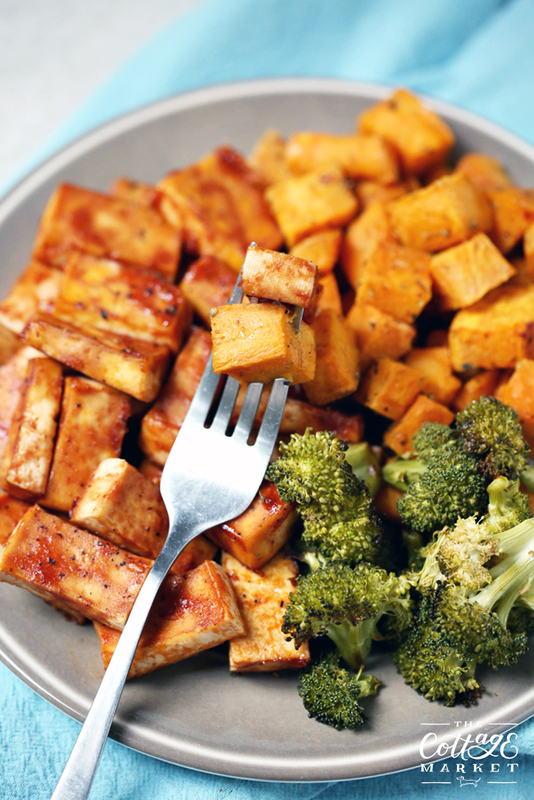 Once sweet potatoes come out of the oven, spray nonstick on the rest of your pan, and then add ⅓ strip of broccoli (or veggie of your choice) and ⅓ strip of tofu. 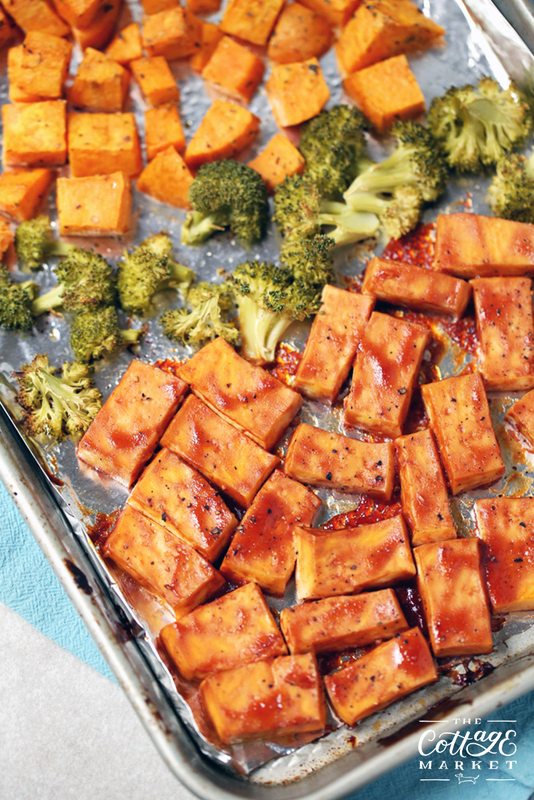 Brush on a little extra sauce to your tofu, and then bake at 350 for 20-25 minutes. Serve on the pan or split up to bowls.